Grab your crock pots, you are going to want to make these Crock Pot Chili Cheese Dogs for your family very soon. With our hectic schedules, these were the perfect supper on a crazy busy day. So to keep us from hitting a drive thru for supper on these crazy days, we need quick meals that the entire family will enjoy. Crock Pot Chili Cheese Dogs to the rescue. 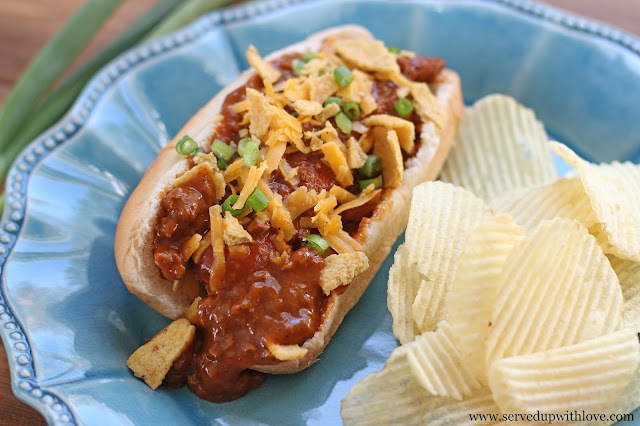 Before our son moved out into the world on his own, chili cheese dogs were one of his favorite meals. 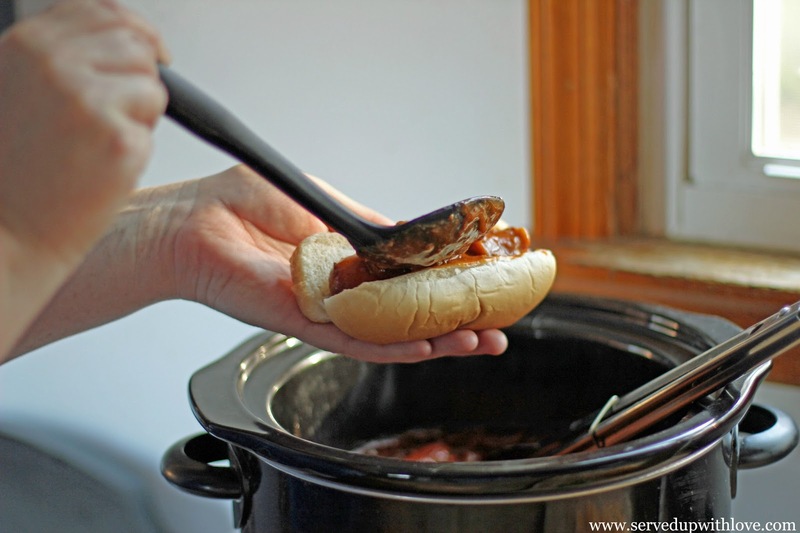 Because hot dogs are a fairly inexpensive ingredient it was a win-win for us. Do y'all know how much a teenage boy can eat? That boy could eat more in one sitting than the rest of the family combined. As the hot dogs cook away they take on an entirely new flavor profile. They plump up as they soak in all that delicious chili flavor. You can put as much or as little chili as you like on these. The best part is loading 'em up with all the fixins'! This can easily be doubled or tripled to feed a crowd. Perfect for tailgating, birthday parties, or just any ol' weeknight supper. 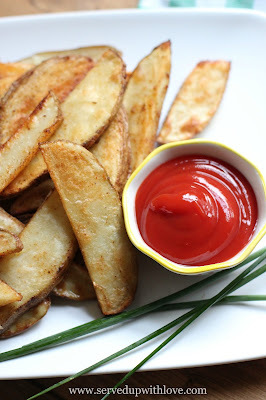 Just pack plenty of napkins because these are so worth the mess! Optional toppings: Shredded cheddar cheese, diced onions, corn chips, etc. Place the hot dogs in the bottom of the crock pot. 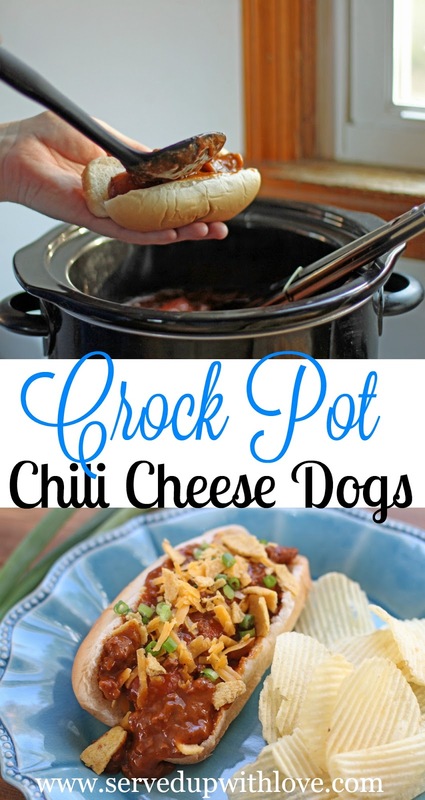 In a separate bowl combine the chili, green chili's, and the cheddar cheese soup. 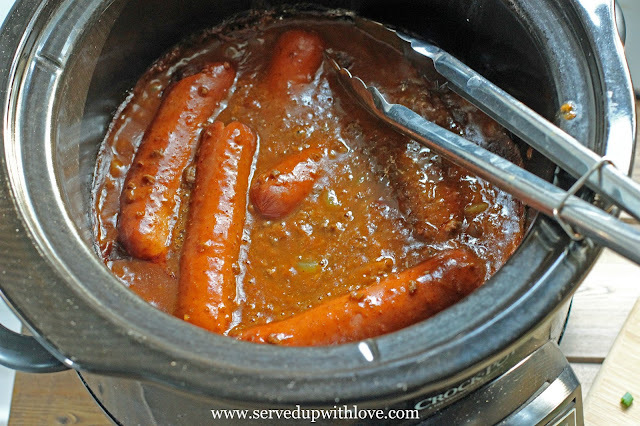 Pour over the hot dogs. Cook on low for 3 to 3 1/2 hours. Serve in a bun, topped with desired toppings. 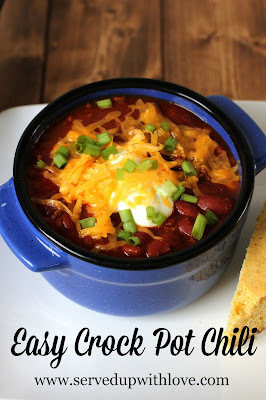 And because we love chili, here are a few more recipes to enjoy! Oh wow! What an awesome recipe. My hubby will love this! Thanks Marsha, it is a favorite around here!